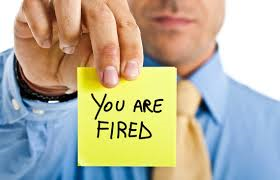 Keep yourself fully protected in the hiring and firing process. As Human Resources has become more complicated with laws and regulations changing on a daily basis at all levels of government, it's no wonder the number of EEOC complaints and suits filed has been on the rise. Currently employers are tackling compliance with immigration laws and new overtime rules, all while still adjusting their businesses to comply with the Affordable Care Act. Since this coverage has been in the marketplace for decades now, many companies offer affordably low minimum premiums and deductible options. Coverage can also be shared with Directors & Officers Liability, as well as Fiduciary Liability which reduce the overall cost of coverage. Company name, legal structure (llc, corp etc), contact info, # of full time, part time employees, as well as temps, independent contractors and volunteers. Nature of operations. Any policies & procedures re: harassment, discrimination etc.